The FLSA has seen numerous changes over the years and is one of the most important, yet complicated laws for employers to understand since it casts a wide net of regulations for dealing with employees. Here are three ways Professional Employer Organization (PEO) services help employers ensure compliance with wage and hour laws. PEO services help employers pay staff correctly and avoid mistakes. PEO services include technology tools to help comply with recordkeeping requirements. PEO services include guidance on hiring minors. Because PEOs have a team of HR and payroll experts, a PEO is able to help employers pay their staff correctly and on time. PEO services include processing complex payrolls with accuracy and efficiency while providing guidance to employers along the way. One of the most common wage and hour mistakes, misclassifying employees, can happen early in the hiring process. The classifications determine how much tax is deducted, as well as whether or not overtime is due, so when employees are improperly classified, it could cost employers back taxes, unpaid wages and other penalties. Independent contractors (or 1099 workers) are self-employed, which means employers do not withhold taxes from their pay. Contractors do not take direction from employers when performing services. Generally, independent contractors perform a specialized service that is not central to the overall function of the business. Independent contractors are hired to accomplish a task, but the worker determines how and when they will get it done. Non-exempt employees receive pay in a variety of methods (hourly, daily, piece rate, commissions, etc.) and must make at least minimum wage for all hours worked. Non-exempt employees are entitled to overtime if they work more than 40 hours in a workweek. Exempt employees are “exempt” from regulations governing overtime pay and minimum wage but some do have minimum salary requirements. Currently, the salary threshold for a salaried, exempt professional is $455 per week as a ruling to boost this amount remains on hold. Professional employees are typically entitled to receive their full weekly salary regardless of how many or how few hours they work. Overtime is another area where mistakes are common. 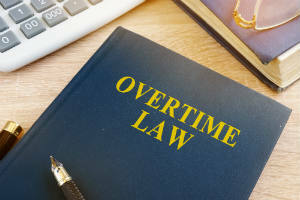 Employees covered by the FLSA must receive overtime pay for working more than 40 hours in a work week at a rate not less than time and one-half of their regular pay rate. The FLSA does not require overtime pay for work on the weekends, holidays or regular days off, unless overtime is worked on such days. To qualify for an exemption, employees generally must meet certain tests regarding their job duties as job titles alone do not determine exempt status. In order for an exemption to apply, an employee’s specific job duties and salary must meet all the requirements of the Department of Labor’s regulations. PEOs also handle wage garnishments, withholdings, unemployment insurance and federal and state payroll taxes to help PEO clients maintain compliance with tax filing regulations and avoid costly errors. A PEO company provides clients with an online human resource information system (HRIS) for easy access to employee records, time entry interfaces, benefits open enrollment sessions and reporting tools. This makes it easy to store and access employee information like names and addresses as well as historical data about hours worked and wages earned. The FLSA requires certain information for non-exempt employees to be stored for three years, including payroll records. Items like time cards, piece work tickets, wage rate tables, work and time schedules and records of additions to or deductions from wages should be kept for two years. As for how employees keep track of employee time, any plan is acceptable as long as it’s complete and accurate. With a PEO, employers or administrators can enter payroll hours in the HRIS each pay period or rely on common integrations with time clock systems. 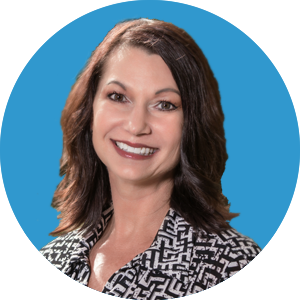 PEOs offer reliable guidance on wage and hour requirements and other HR topics like performance management, employee relations and termination. That helps employers make informed decisions and avoid making costly and embarrassing HR mistakes. Hiring minors is an area where employers often get nervous because, there are federal, state and sometimes local rules that come into play. In fact, many states have laws about hiring minors that are more restrictive than the federal laws. The FLSA restricts the types of jobs a person under the age of 18 can hold and the number of hours they can work. Certain jobs, like performing in a movie, can be held by a child of any age. However, there are some jobs, like mining, manufacturing and roofing, that are deemed too hazardous for children under 15. Children who are 14 and 15 are only allowed to work three hours or less on a school day and 18 hours in a school week. They may work eight hours on a non-school day and 40 hours on a non-school week. There are additional restrictions on the times of day children this age can work. To consider HR outsourcing with FrankCrum, call 800-277-1620.